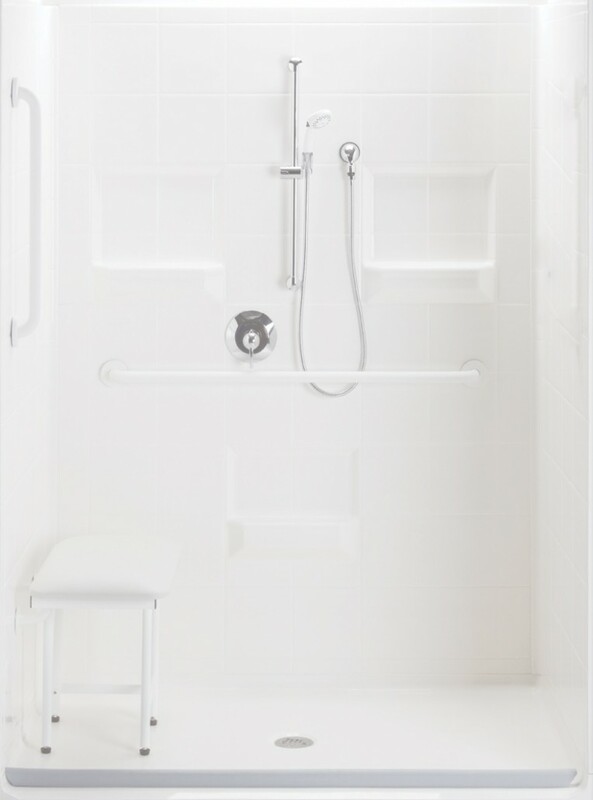 Our Handicap Showers are available in a variety of models and sizes depending on the existing space and your specific needs. 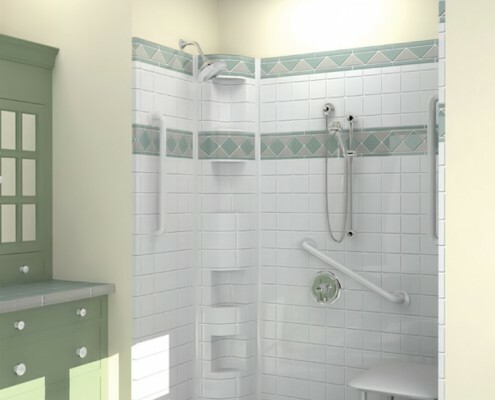 Easy access to bathing is important in maintaining personal independence as we age and start to face mobility challenges. 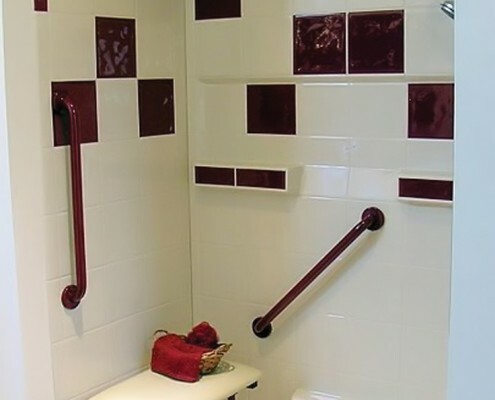 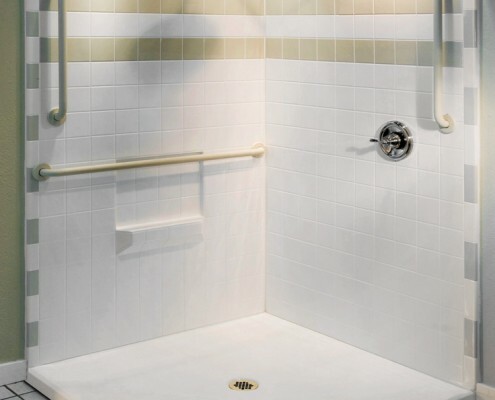 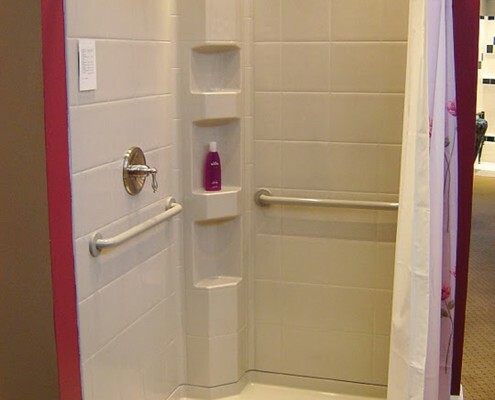 Our handicapped accessible showers are designed specifically for residential bathrooms, providing safe and comfortable bathing options for all family members. 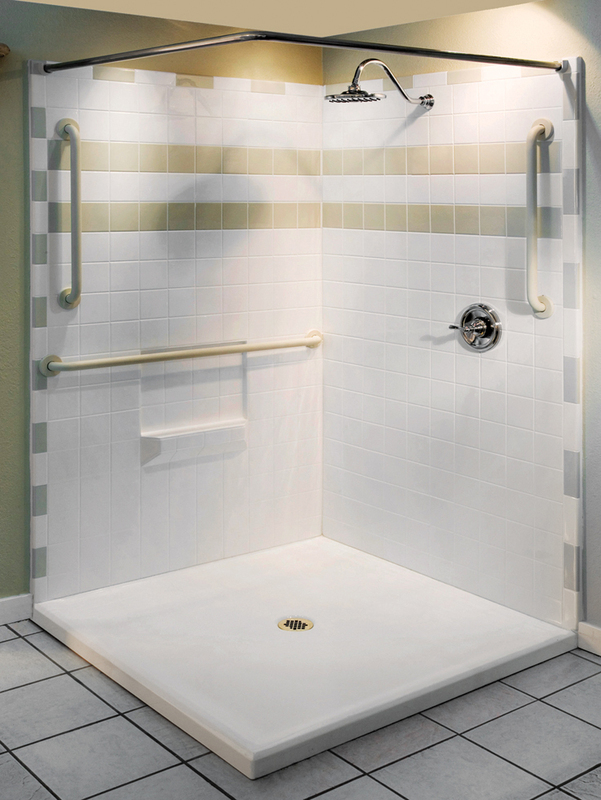 For elderly, aging, or disabled users getting in and out of conventional tubs and showers is a struggle. 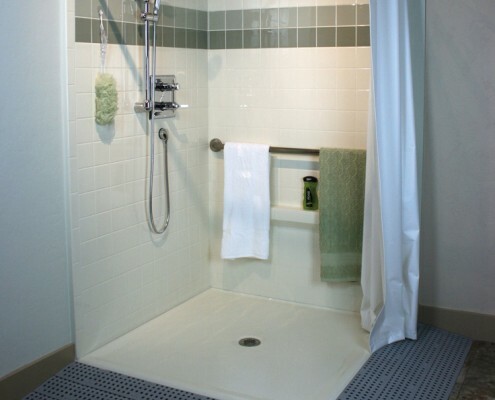 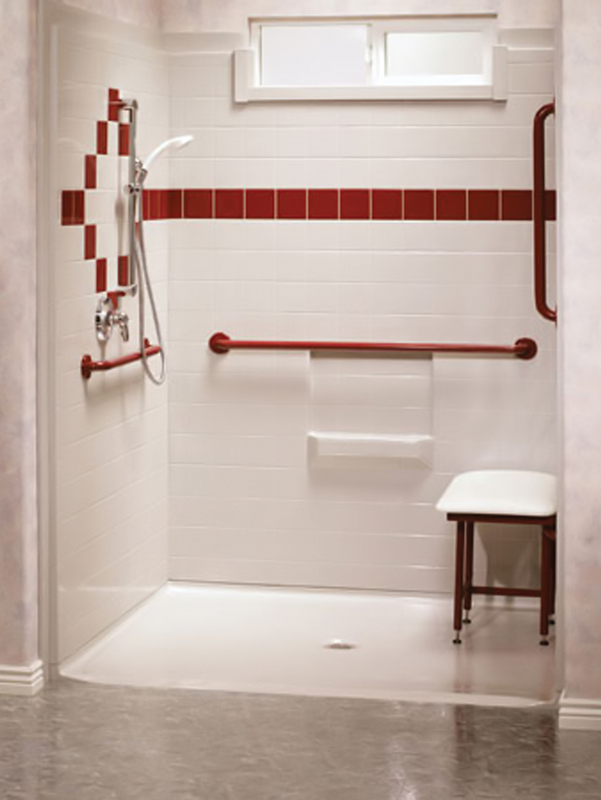 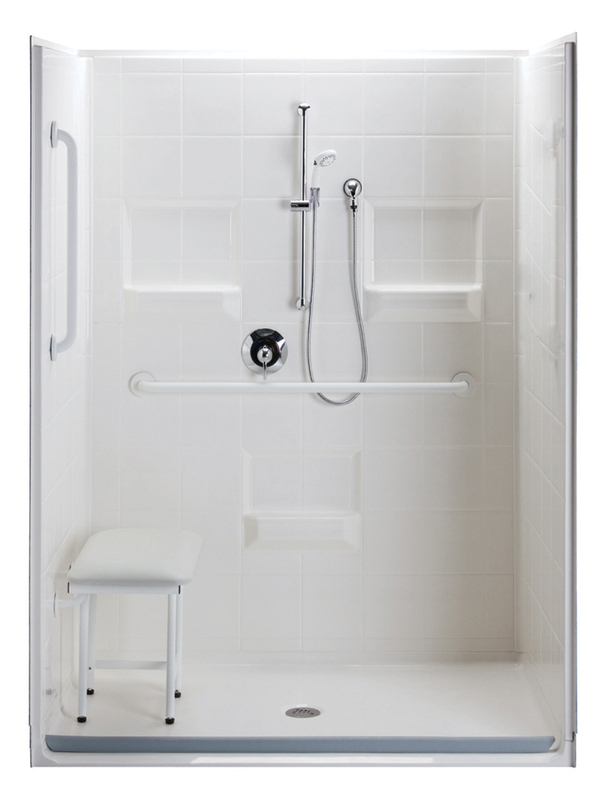 Accessible roll in or walk in shower stalls have a barrier free access, meaning the shower floor is at the same level as the bathroom floor, or has a slight rise, between a ½” to ¾” beveled threshold. 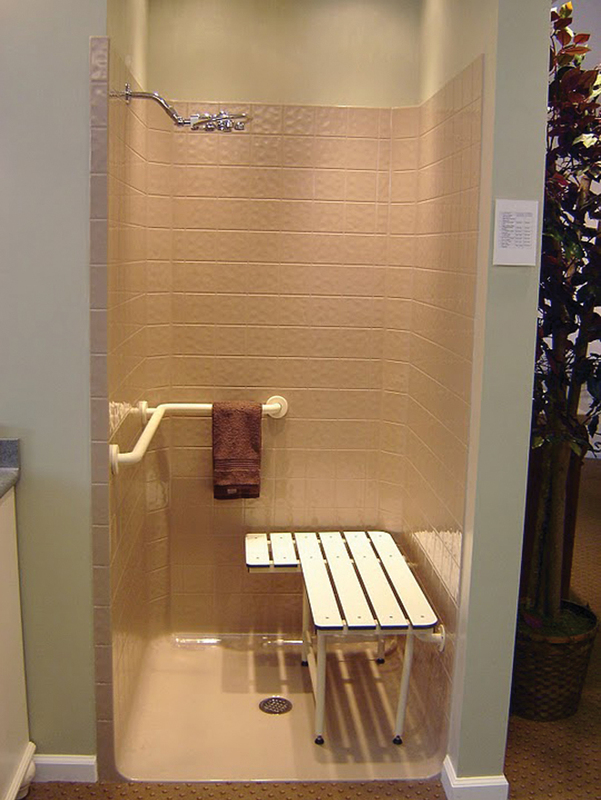 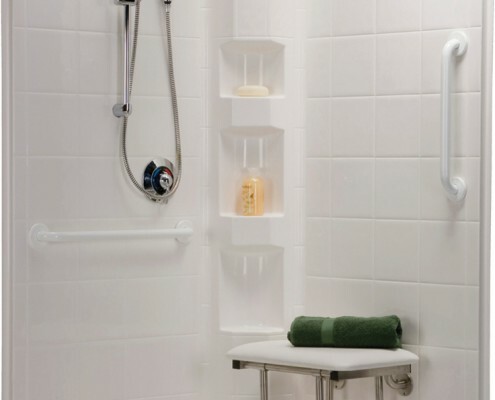 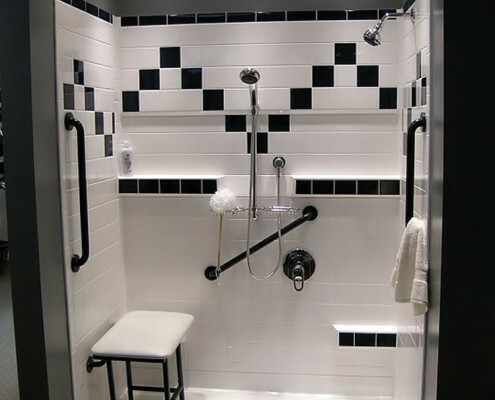 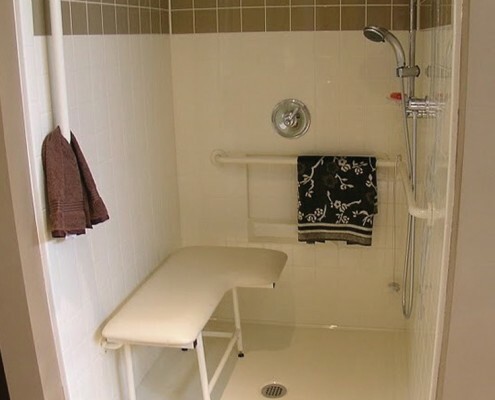 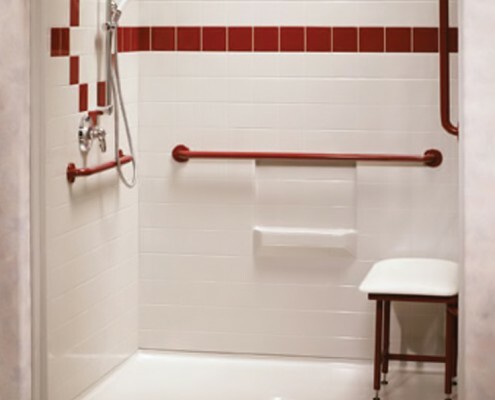 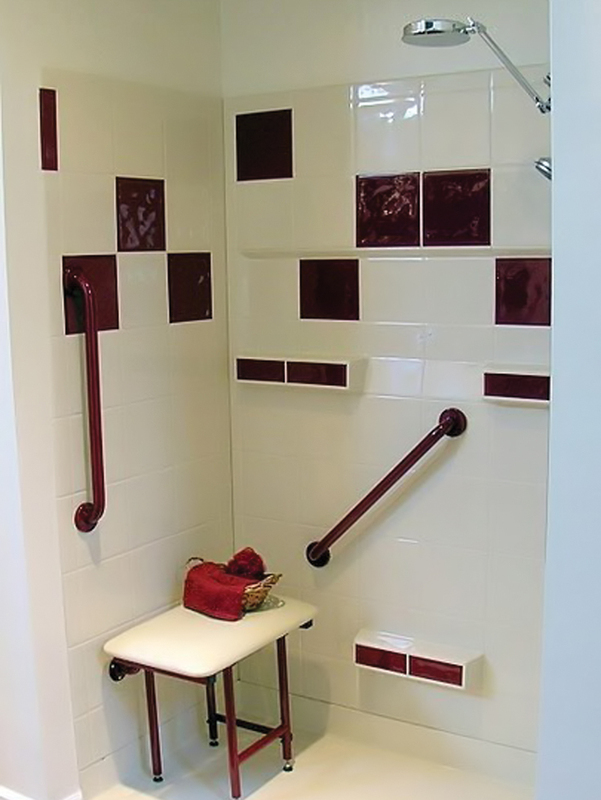 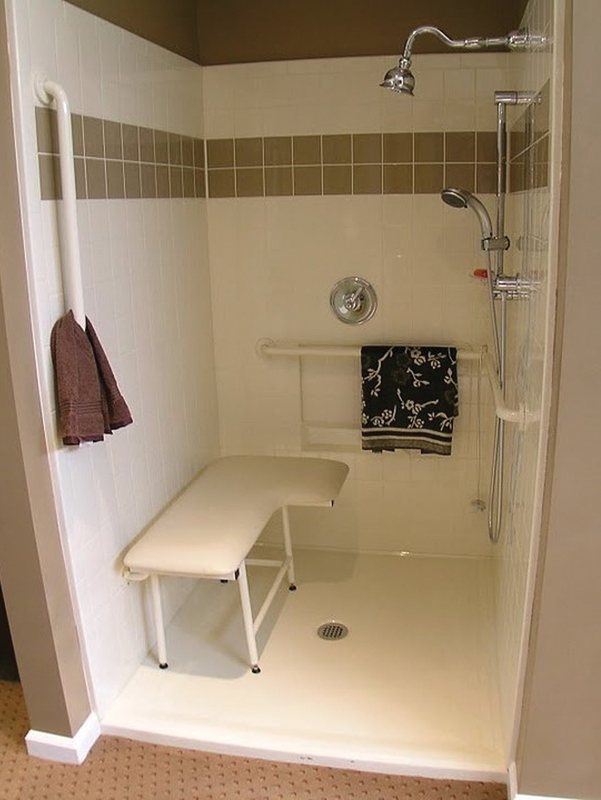 Handicap Showers allow people in a wheelchair or shower chair to easily enter the shower, offering independence and comfort for adults and children with disabilities. 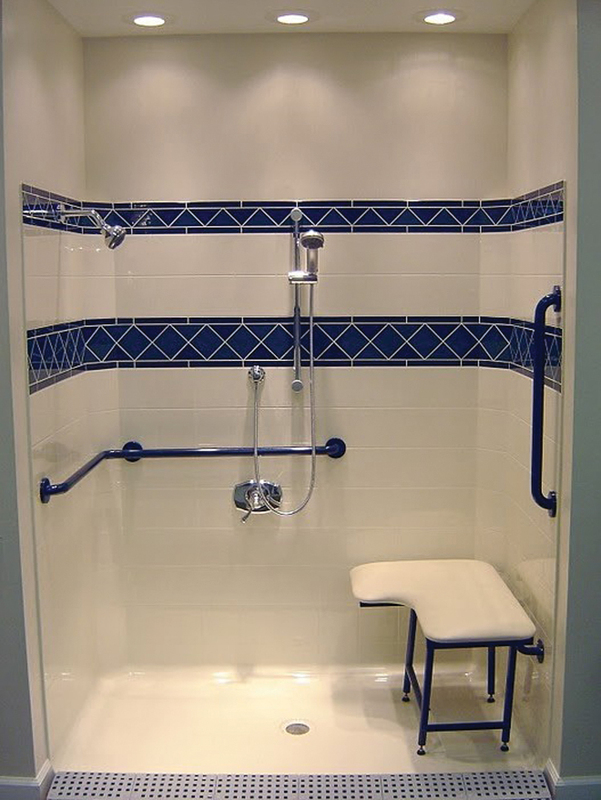 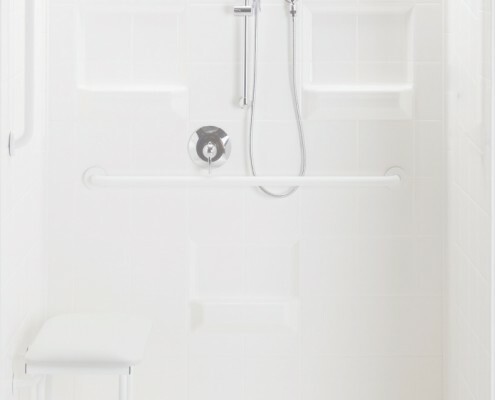 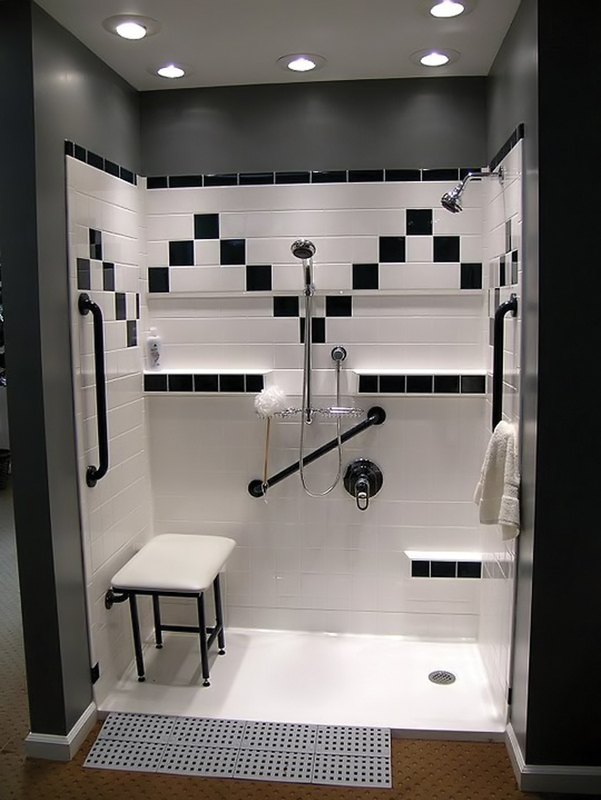 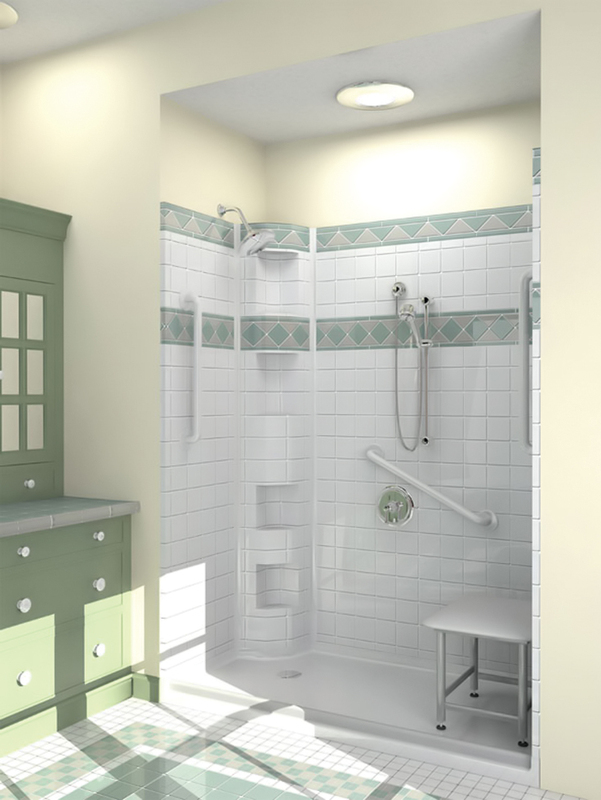 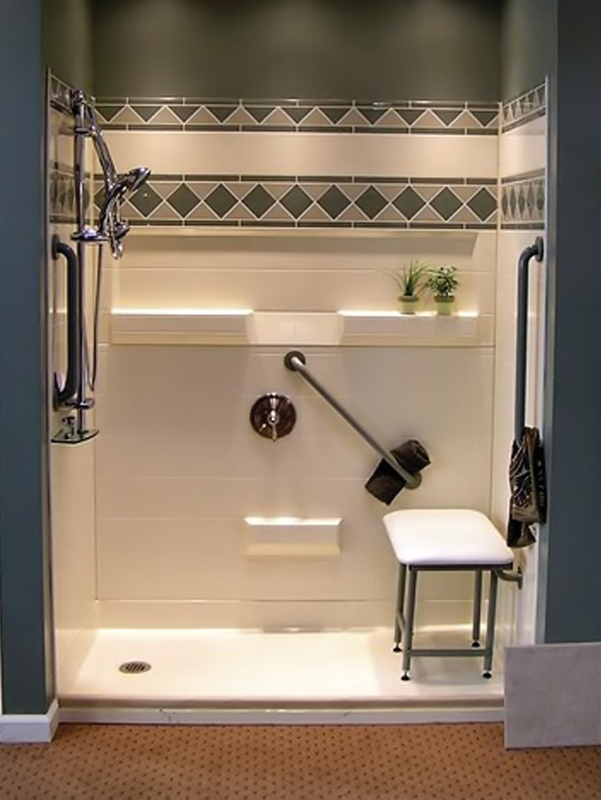 When designing accessible bathrooms for disabled individuals, a residential Handicap Shower is a safe and comfortable option for people of all abilities. 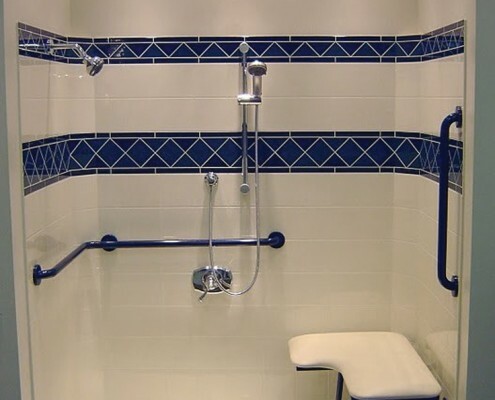 Our Handicap Showers can help transform your home so you can offer premier care to your elderly or disabled family members, by creating a premier bathroom with an easy to access handicap shower for your home. 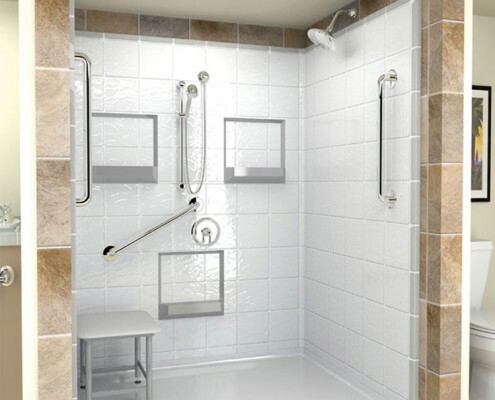 Our easy access, fiberglass handicap showers have a slip resistant textured floor and full wood backing to accommodate easy installation of our selection of accessories, including grab bars, and folding shower seats, making your shower enclosure safer for independent and assisted bathing. 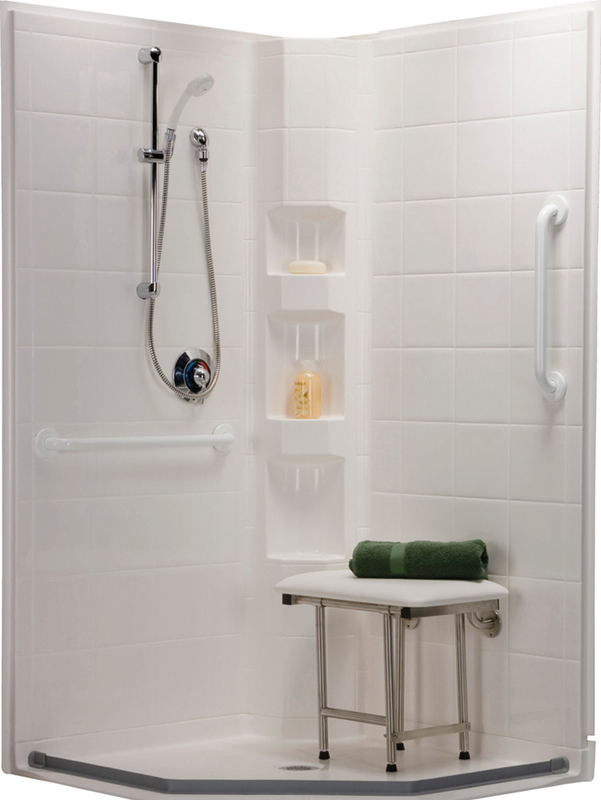 Accessible shower stalls are available in stylish multi-piece models, engineered for remodeling existing bathrooms. 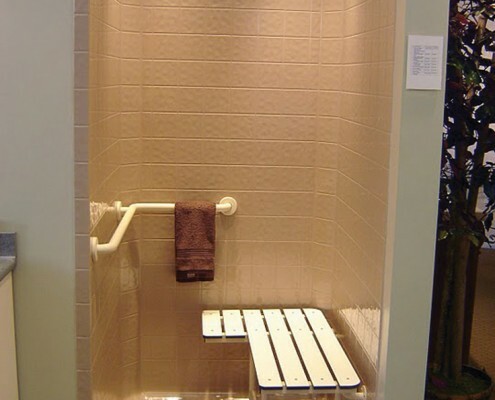 They are also available in bathtub replacement models, featuring a left or right hand drain location in lengths to fit where your existing tub is today. 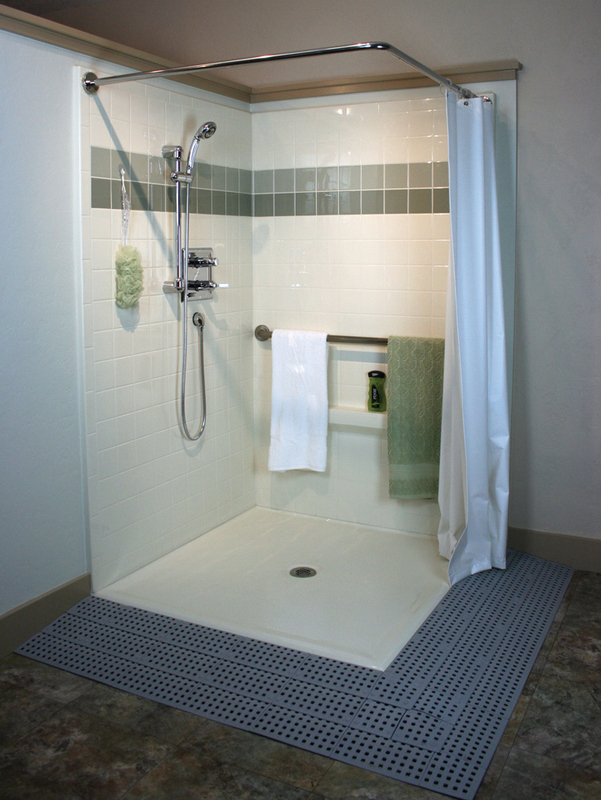 Our showers are available with tile, cultured marble, granite, acrylic, gel coat and other durable attractive finishes. 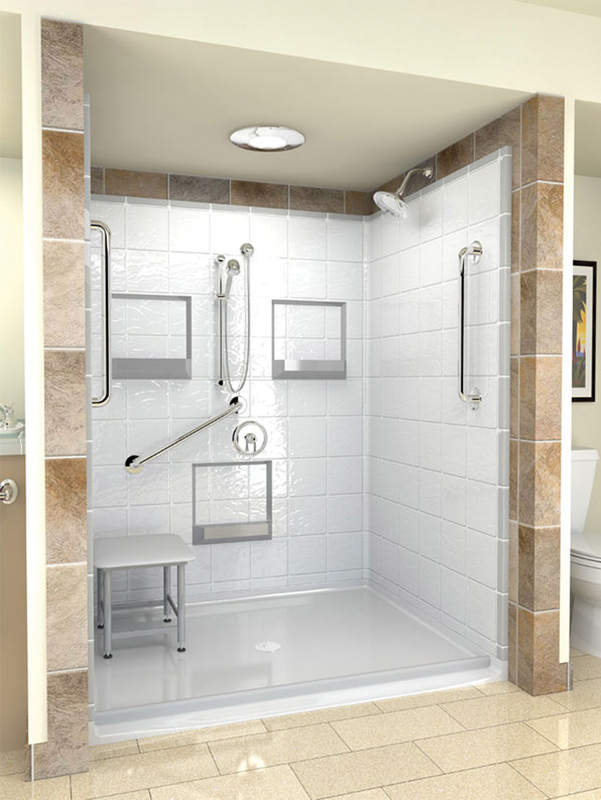 Options include low or zero thresholds, doors, steam, body sprays, slide bars, folding seats, soap and shampoo holders, shelves, and safety grab bars. 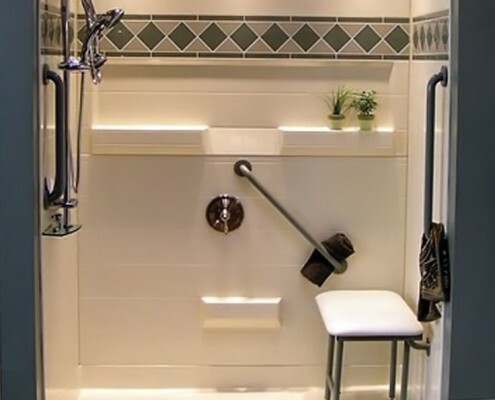 More and more people are looking for ways to stay in their homes as they get older. 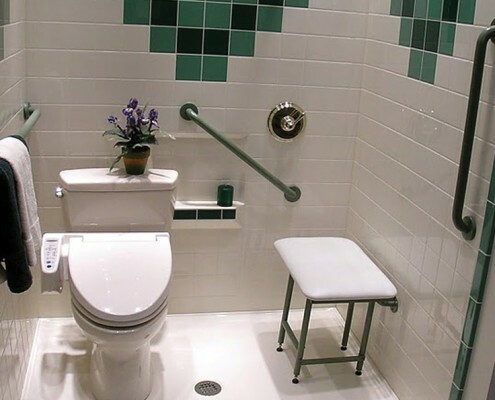 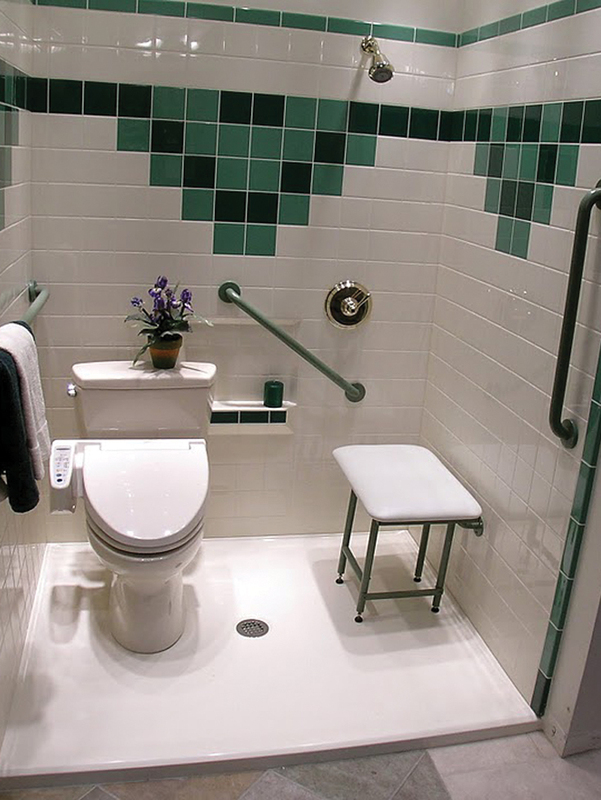 As homeowners plan for the future, for themselves or loved ones, we offer options in handicapped accessible bathrooms, and step in shower units, without sacrificing style. 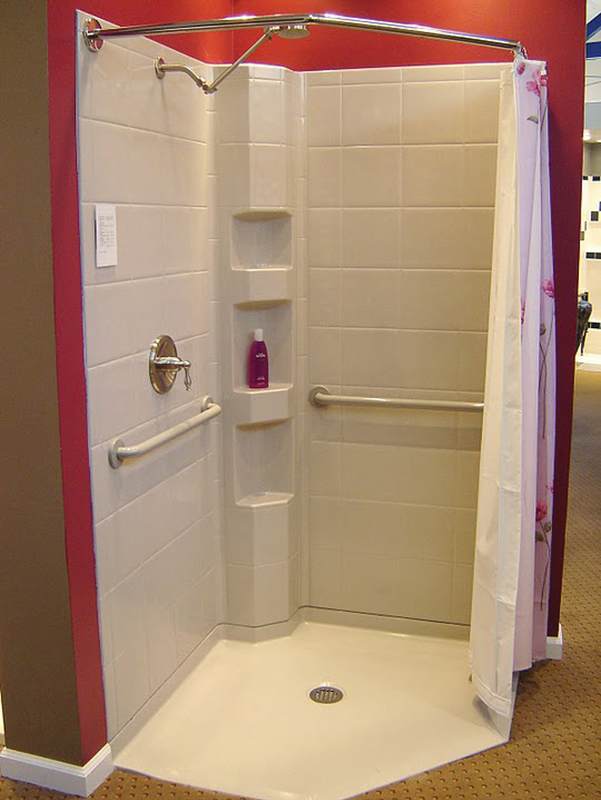 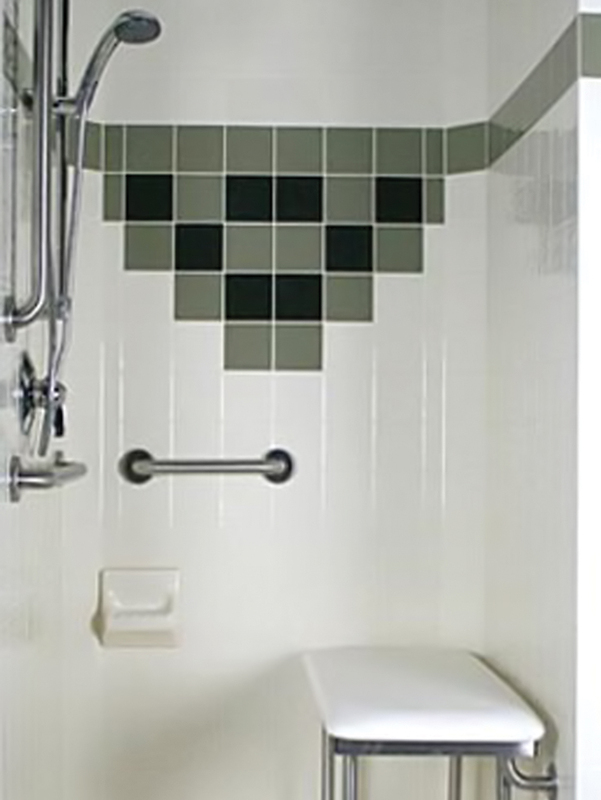 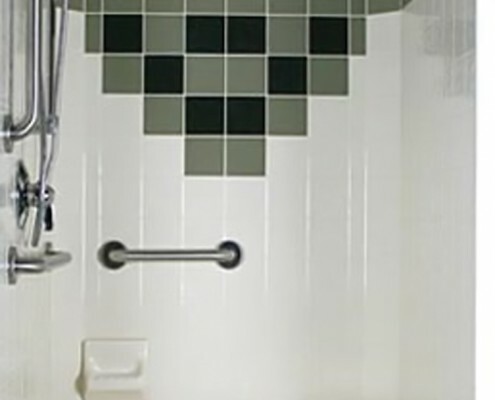 For the aging in place population, easy access, step in shower stalls are perfect for senior bathrooms.